The Google Maps API allows you to use Google's map data in your application. It's extremely handy for things like overlying the weather on top of a map or showing location in a travel app. The only problem is, it's part of Google services and not part of Android. Relying on the Maps API means your app will not work on a non-Google-approved device. In response to this, Amazon was forced to license mapping data from Nokia and build a working clone of the Google Maps API. The company even has an instruction page dedicated to migrating your app from Google Maps. Again, Google is all about making life easy in its ecosystem and extremely difficult outside of it. If you want to run on the Kindle, you now need to support two different Maps APIs. It's a terrible situation for the Android forker, in this case Amazon, who now has to deal with either paying license fees to Nokia forever or going out and mapping the entire planet on its own. Amazon is also now required to keep up with Google's break-neck pace of development: Amazon's Maps API supports Google Maps API v1, but Google is already up to v2. If you're a developer and depend on some new feature in the Maps v2 API, Amazon doesn't support it yet. Now you have even more work to do. Google Cloud Messaging (GCM) is the easiest way to do push notifications on Android, but you'll never see it on AOSP. GCM was recently added to Play Services at I/O 2013, and it now includes not only receiving notifications, but also pushing messages upstream. It's responsible for the newly added ability to sync notifications across devices. Developers often use GCM to push breaking news out to devices or to notify an app that new data is available and a sync should be performed. While Google Maps may seem like it would be used in a small amount of apps, many more apps need push messaging in order to be any good. This is another feature that Amazon was forced to copy in order to not be left behind. Its version is called "Amazon Device Messaging," and it only works on Amazon devices. Just like the Maps API, you'll be doing extra work and testing for a very small subset of users. Every feature of GCM might not be in Amazon's version, so you'll have extra work to figure out ways around that. 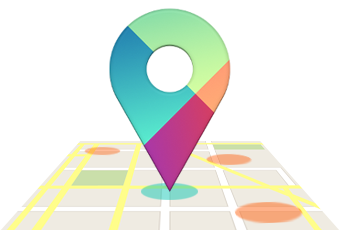 At Google I/O 2013, Google revamped the Android location APIs and released them as part of Google Play Services. In other words, Android's top-tier location services are now closed source. If the above history is any indication, the open source location stack will be left to rot. The added features include the Fused Location Provider, a "complete rewrite" of Android's location algorithms, Geofencing (which lets you define locations on a map that will trigger events in an app when the user enters them), and Activity recognition, which uses accelerometer data and fancy algorithms to determine if the user is walking, biking, or driving—all without turning on the GPS. It made complete sense to put the Maps API and Google Cloud Messaging into a proprietary app, as those services depend on Google servers to function. However, moving over the entire location stack feels like a massive power grab on Google's part. There are now two methods to get location: the good, low power, closed source Google way, and the crappy, battery expensive, open source way. The best in-app purchasing on Android is done through the Google Play Store. If a developer wants their app to work on a Kindle or in China, however, they'll be stuck having to find another solution. This is another feature where, if you want to have a viable AOSP fork, you'll have to replicate it, which is just what Amazon did with the Amazon In-App Purchasing API. Samsung is even in on the party, having introduced an in-app purchasing API two years ago. 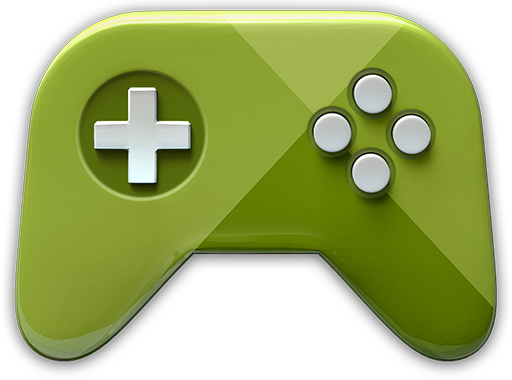 Play Games is another proprietary API that solves a lot of difficult problems for mobile developers. It provides easy access to user accounts, leaderboards, achievements, cloud saves, anti-piracy, and (on Android) real-time multiplayer. The best part is that works on just about everything: Web apps, iOS, and Android. Well, everything except AOSP, which is not supported. This is yet another thing a third-party app could depend on and an alternate Android distribution would have to replicate. Amazon has a set of game APIs called "GameCircle," but it's not a drop-in replacement for Play Games, the way the Amazon Maps API is. A developer will have to spend time making a completely separate multiplayer implementation work. The borderline-evil-genius part of Google's strategy is that 90 percent of the Google APIs are also supported on iOS. Now, put yourself in the shoes of a developer deciding whether or not to use Google's APIs: many of Google's solutions offer best-in-class usability, functionality, and ease-of-implementation. Google supports both major mobile platforms, so it will cover a very high percentage of your potential user base. The only bad part is that it won't work with an Android fork, but any AOSP fork is going to be a tiny sliver of your possible target devices. Most developers probably say "yes" to Google APIs, and the next question is what should they do about the Kindle and other Android forks? Developers are largely on their own to find a replacement API solution, which might be out of date and might not work perfectly with their existing app. If this other solution isn't a perfect drop-in replacement, the developer will have to figure out how to design their app around the missing feature. Since this is such a small amount of users compared to their current iOS + Android user base, is it even worth it to try to figure out this separate ecosystem? Will they get a return on their time investment? It would be easy to say "the hell with forked Android" and skip all the extra work and Q/A that would entail. This is the section that shows why Amazon can live without Google and Samsung can't. While Amazon is a Google-API-copying machine, Samsung doesn't have many answers for third-party developers that currently rely on Google. Any speculation about Samsung leaving the Google ecosystem is premature until you see it licensing map data or building a cloud messaging API. Amazon has done a decent job of keeping up, but the company was born on the Internet. Servers and software are the company's forte, so building out a bunch of cloud services isn't a huge change. Samsung Electronics is, well, an electronics company—building a cloud infrastructure and a bunch of APIs isn't in its DNA. So while Amazon can whip this together in a few years on the back of its cloud services platform, Samsung has much more of an uphill climb ahead of it. Samsung has made a tiny bit of progress. As mentioned, the company has its own SDK for in-app purchases. Interestingly, it also has an advertisement SDK, but ads actually make money. Google supports ads on Android, iOS, Android forks, and even Windows Phone. If a company even wanted to consider forking Android and creating a viable commercial competitor, they would have to replicate everything in this article. Even then, you've only broken even. You would still have to give your users a reason to switch from Google's Android to your fork of Android. Google does everything in-house. The company gets Maps and all of its cloud services basically for free. Any company trying to follow in these footsteps will probably have to outsource something on this list. Amazon having to license Nokia's Map data is an excellent example. Google sells ads against Maps—it actually makes the company money—while Amazon has to pay a per-user fee for its mapping data. This is the kind of radically different income situation an Android forker will be facing on a daily basis. Google's services cost less than nothing, and anyone competing will end up paying a monthly fee to some other company. If a company does manage to fork Android and make something compelling outside of Google's ecosystem, there's the little matter of nearly every manufacturer being contractually barred from manufacturing a device that runs the new OS. Even if this new Android derivative is better, for an OEM jumping out of the Google ecosystem, it's probably more trouble—and risk—than it's worth. While Android is open, it's more of a "look but don't touch" kind of open. You're allowed to contribute to Android and allowed to use it for little hobbies, but in nearly every area, the deck is stacked against anyone trying to use Android without Google's blessing. The second you try to take Android and do something that Google doesn't approve of, it will bring the world crashing down upon you. Paul RodgersArs Centurion Embrace, Extend, Extinguish? Not trying to be a fanboi here, but this does remind me of early Microsoft. Ron Amadeo / Ron is the Reviews Editor at Ars Technica, where he specializes in Android OS and Google products. He is always on the hunt for a new gadget and loves to rip things apart to see how they work.